The Tale of the Dogon? “First you were Nomad, next you were Namar, now you’re Numah and it’s soon you’ll be Nomon. –James Joyce, FW, pg. 374. After another 24 hours of reflection on my writing and ideas blogged here, how they were formulated, where they came from, and how much ‘value’ they have, how much ‘truth? I have been cast on a whirlwind journey through memories and some forgotten texts, and landed myself in the thick of the Sirius mystery, Cosmic Trigger, Finnegans Wake and the ‘Space’ philosophy and music of SUN RA. This blog is my attempt to track my thoughts and ideas as they grow, and here I’m writing an introduction to navigate and update my ideas. It may help to know that I first wrote out 3000 words describing my thoughts and experiences on the Summer Solstice, and then went back into some reference books and web searching to add exhibits to my thoughts. Yesterday, 20th June 2010; I stepped outside my front door into the roots festival held just a few meters away from where I live in Oosterpark Amsterdam. I did not plan going to the festival and more or less stumbled upon the band HANGGAI soundchecking while strolling with a friend around the park, early on in the day. I stuck around for their full performance and this led to a longest day epiphany for me. Triggering a flurry of ideas and connections between my favourite things. Let me try to explain. When I lived in San Francisco I was fortunate to be introduced to Tuvan music and culture from two sources, the first was via a close friend describing the enduring story behind ‘Ghengis Blues: a collaborative album between an American Bluesman and a Tuvan throat singer, the high pitched part of the ‘throat singing’ struck my memory nodes, evoking the Massive Attack tune, Karmacoma. The second source of my initial interest in Tuvan throat singing and music was Via the great 20th century scientific genius: Richard Feynman, close friends and work associates of mine were friends with Feyman, and I picked up on the ‘Tuvan’ musical interests of his, somewhat. He played drums and had a flare for art, music and poetry that I found attractive for a nanotechnologist and Nobel Prize winning scientist. 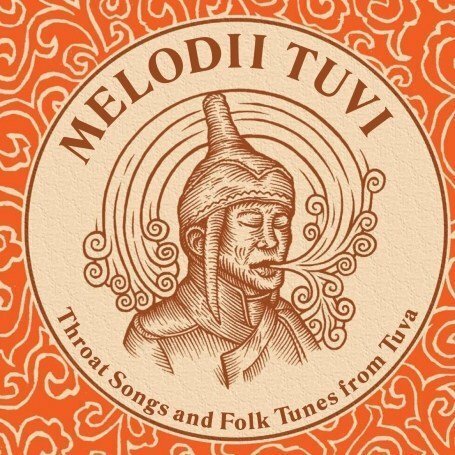 My only other encounter with Tuvan throat singing, or Tuvan anything, since my trip to America ten years ago, was just a month back at the ‘Firey Tongues’ festival, held at the beautiful T.A.Z called Ruigoord. Where I believe that along with a stunning ‘Tuvan Throat singing’ solo performance there was a reading from a newly translated ‘text’ from Tuva, as usual I did not pay full attention to that performance, but was instantly struck by the ‘Tuvan’ meme bouncing back into my mind, that got me to thinking and talking a little about ‘Ghengis Blues’ and Richard Feynman and my experiences. Only a matter of hours ago I was once again confronted with that unmistakable sound of ‘Throat singing’ like a whistle into phase shift resulting in an almost electronic ‘ static’ in the air. The band HANGGAI played a full array of instruments, drums, guitar, bass, flute, vocals and various other stringed instruments I am unfamiliar with. During the performance I noticed a lady dancing, spinning, leaping and twirling around to the music, who I thought was moving with the music just perfectly, and made me smile, made me think and wish I would have the confidence to get up and dance like that in the early afternoon. When the show came to a close I sat under the Big Top tent, watching the stage and the festival smiles, taking in the good vibes. The dancing lady was close by with her friends and so I said ‘thankyou for dancing and the good vibes’. She kindly then began to explain a little about Tuvan music to me, and that she was from Mali, I did my Ghenghis Feyman rap, and we were sharing our admiration for ‘Tuva’ and ‘Nepal’ and indigenous music in general I suppose. 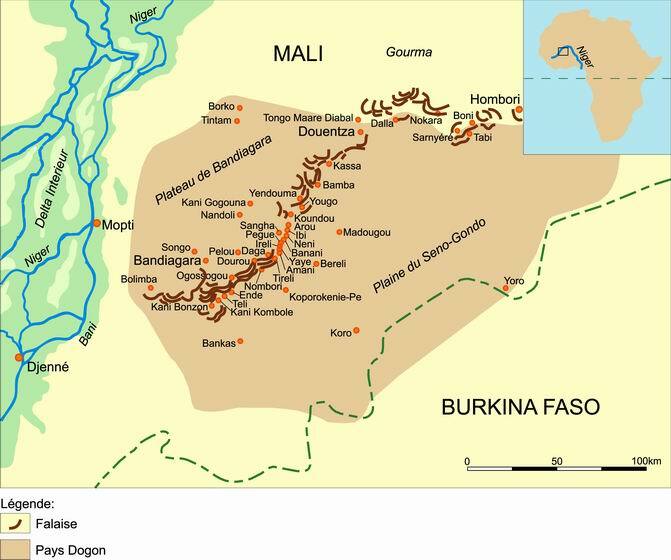 After a few minutes of conversation I learn that the lady I am talking with was the wife of the great Ali Farka Toure’ (1939-2006) and the people she is with are some of her family, her words suddenly take on an extra richness and ‘truth’ in describing Mali, and the beauty of ‘travel’. But alas, after a few moments we were swept back into the festival and unable to continue our conversation, and unfortunately unable to catch her name, but ‘Ali Farka Toure’ sure stuck with me, I am familiar with his music in part from playing and spending time with Guitarist Fareed Haque of Garaj Mahal, who incorporates much West African music into his playing, and invariably some critters surrounding Fareed and the band turned me onto Ali Farka Toure’. I did not get chance to launch into my Garaj Mahal rap, or any other rap, and due to this my mind was reeling, thinking I must write, write this out out here in a blog as an introduction to the following synthesis between areas of my ongoing research and study into Myth, Magic and Music. Shortly after leaving the show I sat alone on a bench rolled a joint and started to read the book I grabbed off the shelf yestermorn’ for any reading opportunities that present themselves: “The Way Of The Sacred by Sir Francis Huxley. Who I once heard lecture on indigenous knowledge and culture at the Prophets Conference, Santa Fe, Ten years ago. While flipping through the book I stumbled upon Dogon, and suddenly right there where I was sitting it all came together in a flash. Finnegans Wake and the Dogon Nommo Cosmic Trigger fired by Sun Ra and His Intergalactic Arkestra. Ah, well not yet, I would like to take more caution when entering into these waters, and try to outline ‘why’ the things I write about here are meaningful to me and ‘why’ I feel they are meaningful and worth communicating to others. 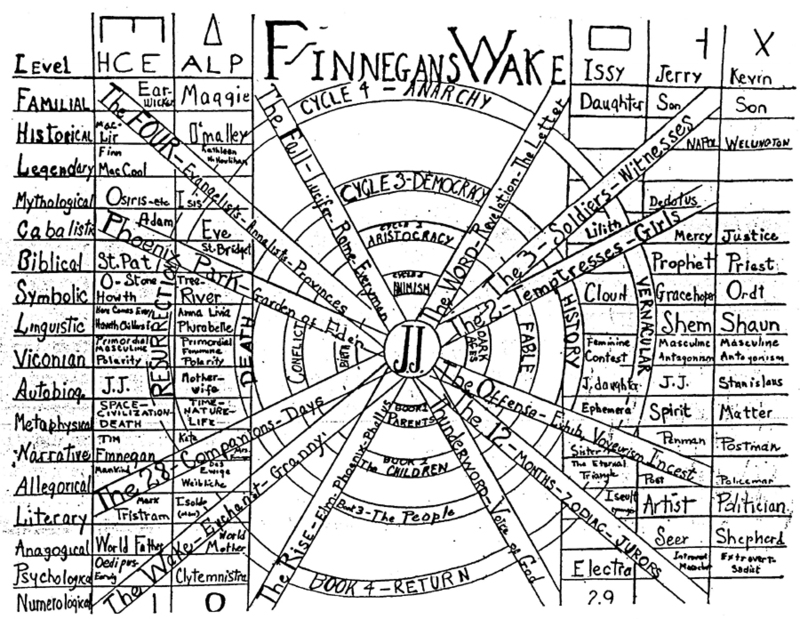 I have read Cosmic Trigger by Robert Anton Wilson as recently as 2009, and several times before that, and I read Finnegans Wake almost daily, and often aloud. Sun Ra and his Arketra can be found throughout my DJ sets from over the last twelve years, and since being fortunate to build a close friendship with Sun Ra scholar and associate; John Sinclair, I’ve taken on an extra literary, cultural and multimedia appreciation of Sun Ra and got into a good chunk of his prolific output as composer, arranger, bandleader, poet and visionary futurist. 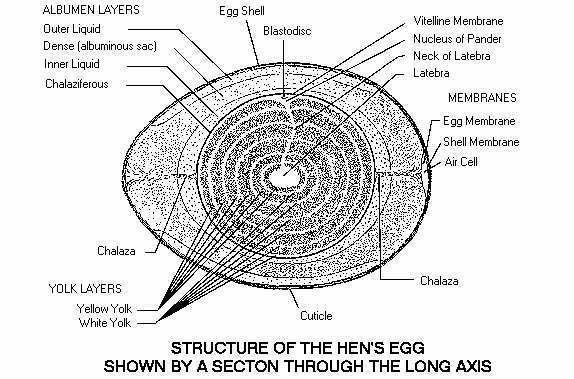 “Their cosmology is one of the most complicated ever to be recorded in print, and it begins, as does the Hindu cosmogony, with an egg—the Egg of Amma, the name Amma signifying God and meaning “to hold tight,” “to arrange.” –Sir Francis Huxley, The Way Of The Sacred, pg. 94. “This stone is an ark because it is the foundation stone on which the earth is created. 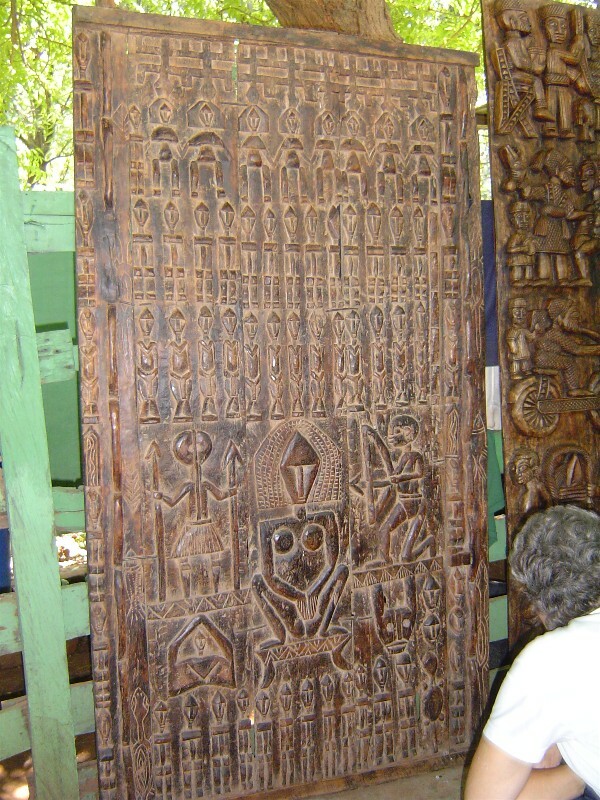 It has its own number, 60, the number of years that elapse between celebrations of the Dogon foundation ceremony. Upon it, in Dogon cosmology, the House of Amma descends as a granary and as a spinning whorl. The granary has a round base and a square top, associated with the numbers four and six respectively. It is the mirror image of its heavenly prototype, which has a square base and a round top. This reversal, in which the inside also becomes the outside, takes place during the descent, which is made down the rainbow, in a sevenfold spiral. Here the spinning whorl enters the Dogon picture. –Sir Francis Huxley, The Way of The Sacred, Pg 166. The Dogon are a West African culture with a remarkably refined and celebrated history, mythology, astrology and culture in the west that has led some researchers to propose strong cases backed up by various evidence suggesting that they were visited by advanced beings or that they contacted other intelligences and managed to preserve some of this special advanced knowledge in their language, culture and rituals. When I visited Berkeley in 2000 AD, I attended an unforgettable and important conference held in the Presidio called Planetworkers: Information technology and Global Ecology. This event was a kind of nodal point for me, a place where I witnessed presentations and presenters that were ahead of their time, I thought, folks like Bruce Sterling, Mark Pesce, Peter Russel, Ralph Abraham, Erik Davis and many more of that genius calibre, a special combination of West Coast intellectual optimism and techno-shamanism. Terence Mckenna was scheduled to be at Planetworkers 2000 but had died only weeks earlier, his life and work were acknowledged and celebrated at the conference that, thankfully made space for the psychedelic components to ‘consciousness’ research and psychedelic studies. Always a good thing I think, especially when combined with intellectual genius and cutting edge technology, such as ‘the world wide web’. Between presentations were a selection of music al offerings, some of which featured a Bass player called Kai Eckhardt who I shared a conversation with in the foyer only to discover that he was playing a show later that week with a pianist called Jack Perla, who’s name and playing I knew from my collaborative musical partner from back home in Wolverhampton called Surinder Sandhu, who had recently worked with Jack. This cool encounter with Kai led me to the show and a meeting with Jack, and later being invited to Kai’s studio, where I met thunderous drummer ‘Alan Hertz’ and Keyboard player and composer Paul Godwin, who had an electronic outfit called DOGON. 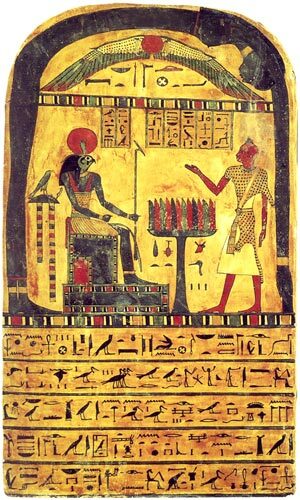 “Because of their preoccupations with the doubleness of things, the Dogon have two signs for each of the four elements. –Sir Francis Huxley, The Way Of The Sacred. pg. 94. I was familiar with the name Dogon from reading Cosmic Trigger and this mini little synchronicity burnt into my memory right there. I was invited back to Kai’s studio shortly afterwards to perform with Paul Godwin, Rhiannon and Kai in his ‘Modern Fairy Tale’ spoken word musical opera, and thereafter to perform in many other settings with the great Kai Eckhardt, leading to me playing over fifty shows with Garaj Mahal and recording on their first two studio albums: Mondo Garaj and Blueberry Cave. In an email correspondence with Mark Pesce last week I mentioned ‘Dogon’ and Paul Godwin, who Mark had also collaborated with on a music related project, in the context of remembering the Planetworkers Conference, where Mark gave a speech titled “The Real World”. Dogon Nommo Hemphill and Roach. The above sketches out some of the thoughts I was having yesterday while reading Francis Huxley on the Dogon, sitting in Oosterpark, minutes after a remarkable conversation and musical performance that somewhat helped me tune in the West African ‘Dogon’ tribe in Huxley’s book that has led to my current state of excitement in revisiting the ‘Dogon’ tales in 2010, using both ‘Finnegans Wake’ and the music and art performance of Sun Ra and his Arkestra, as contextual ‘spaces’ and ‘times’ for this new analysis, and a basis for my own interpretations of the data. A somewhat related theme to the ‘Dogon Mystery’ by way of Cosmic Trigger is the fly by of the comet Kahoutek in 1973 that ties into both the ‘Starseed transmissions’ transmitted by Dr. Timothy Leary from Folsom Prison and with Sun Ra who performed a special concert for the Comet on December 12, 1973. 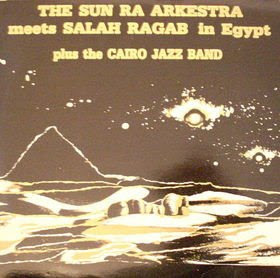 ‘Concert for the Comet Kahoutek’ was the first Sun Ra disk I bought in approx. 1998, in part due to the ‘Starseed’ connection to the Comet. “Have real honest to god extraterrestrials from Sirius been meddling in the affairs of this backward planet? 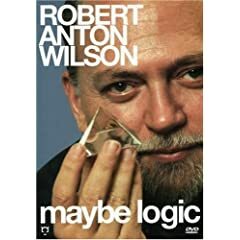 – Robert Anton Wislon, CT, pg, 184. I should emphasize the impact this book had on me twelve years ago, in my attempt here to record my state of mind and reason back then, when building ‘fly agaric 23’ and navigating my way through the works of RAW and Terence Mckenna, continuing my experimental, Jazz inflected musical journey as a Drummer and DJ, intent on including and sharing some of the wisdom I perceived within these works; the drive that led me to journey to the US and study with Dr. Wilson. Like Robert Anton Wilson, the Dogon tribe of West Africa demonstrate an interest in the Sirius double/triple? star system. “Sirius is important to you” and “something about time, the future and infinity” are words that Dr. Wilson saw written on a Black Board by a man with a long white beard, like Mr. Natural (or Dr. John Dee) in an important vision/dream he wrestled into his waking life and book, due in part to the fact that he had this dream/vision on July 23rd 1973. Sirius, the Dogon tribe and the 23 enigma collide or give birth at this point in RAW’s life, experimenting with Astral Projection, Magick and psychedelics and experiencing contact, success and breakthroughs in these areas of Occult research and shared feedback. 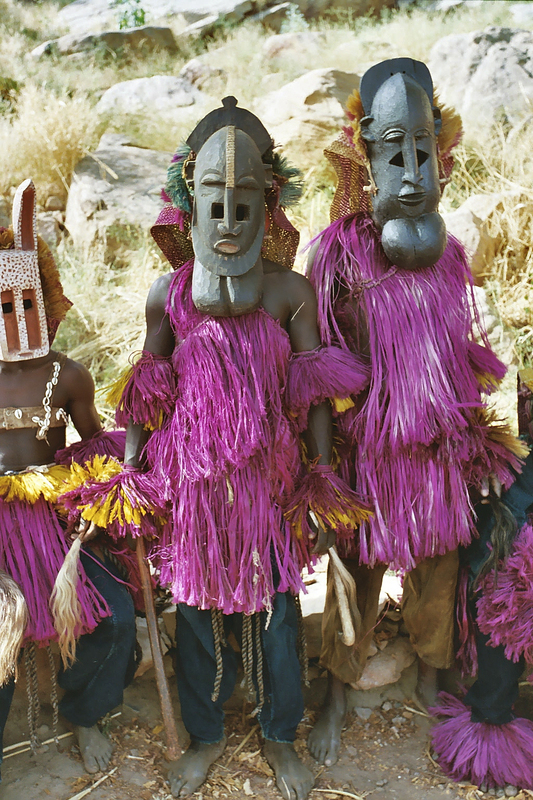 So what are the Dogon Tribe all about and why are they so important to us today, what can we learn from the wisdom they have shared, how does it relate to our present situation on earth? These more objective questions are best tackled by invoking my favourite book and mighty not-so-secret secret weapon in the war on some drugs: Finnegans Wake. 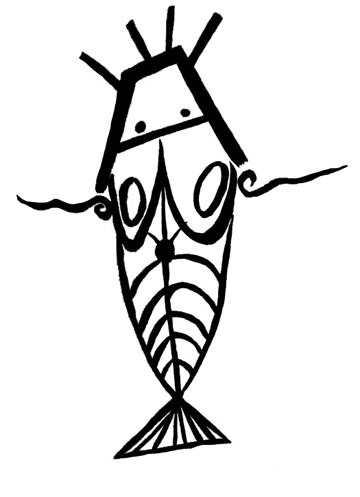 It seems that much of the great learning and wisdom gathered by the Dogon can be best distinguished by its relationship to modern ideas, scientific findings, cosmological models, BIG uestions about a singularity, self and becoming, causality, prophecy, the future of humanity and planet earth, the cosmos, spacetime and beyond. While reading Sir Francis Huxley describe the intricacies and complex ideas of the Dogon I thought of the ‘resolution of opposites’ at work in Finnegans Wake, and in a flash saw every piece of symbolism Huxley mentioned in Joyce’s masterpiece, as if it were itself a tale of the Nommo tribe, or some extraterrestrial multilingual intelligence guiding us into the future of hypertext and hyperculture. Lo. It seems likely to me that amidst Sun Ra’s extensive literary study into African and world folklore and mythology he came across the practices and traditions of the Dogon tribe. 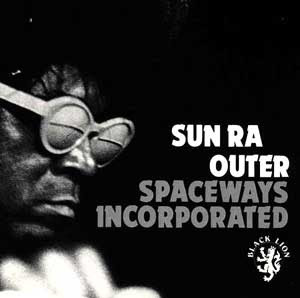 And I imagine would have latched onto some of the themes of possible extraterrestrial contact, but more importantly forwarded, retranslated and represented the music, dance, art and culture of these tribes, Sun Ra performed and recorded music. Something that unfortunately most other extraterrestrial theorists overlook as a means of communication with ‘higher’ beings, if you like to use the ‘higher’ label. The most economical explanation for all of this seems to be that an Earth-Sirius communication has occurred, at least once, probably several times. –RAW. CT, 1pg. 89. That ‘they’ or ‘it’ travel by way of music seems a given to me personally, if you like to adopt a pretty simple model for extraterrestrial intelligence and communication. Yet, we must agree that any advanced form of communication would work throughout all of our recognized mediums and our spectrum of energy waves. But music, music seems like an ancient and relatively simple mode of two-way communication with ‘it’. Maybe it’s better to call ‘it’ hyper-intelligence’ and maybe at this stage propose that ‘it’ maybe ubiquitous throughout spacetime. The music and ‘it’ tend to reveal each other on occasion, I think, and something about some music in the Jazz idiom seems to somehow scramble time & space in a way reminiscent of ‘hyperintelligence’ a glimpse into the fututure-presnet-pist side, where everything changes in an instant, and new worlds open up and with them new possibilities, new conversations, new languages and new ideas. Make it Knu! Mark Pesce recently exposed the genius of James Joyce and in particular his book Finnegans Wake, and illustrates how Joyce co-opted the future in some sense, co-inventing ‘hypertext’ before programmable computers and co-ordinating some as yet unknown and undefined ‘Hyperintelligence’ into his book, that has managed to withstand the void of literature created by html Hypertext, internet and twitter. I have collaborated on further illustrating his writing. … my whole body changed into something else. I could see through myself. And I went up … I wasn’t in human form … I landed on a planet that I identified as Saturn … they teleported me and I was down on [a] stage with them. They wanted to talk with me. They had one little antenna on each ear. A little antenna over each eye. They talked to me. They told me to stop [attending college] because there was going to be great trouble in schools … the world was going into complete chaos … I would speak [through music], and the world would listen. That’s what they told me. –Szwed, John F. (August 21, 1998). Space Is the Place: The Lives and Times of Sun Ra. 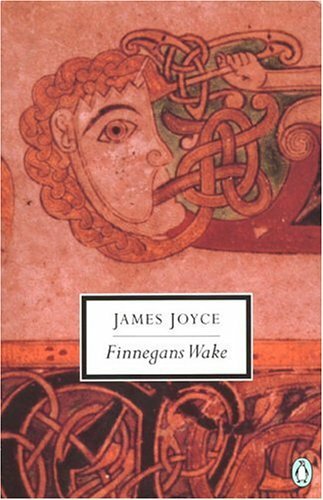 However, anybody who claims that Joyce did not have an Extraterrestrial experience seems to have missed the point of Finnegans Wake, that for me qualifies as a totally ‘alien’ and certifiably advanced language and/or code. Precisely the kind of thing an advanced civilization would want to communicate to earthly humanity: the wonder and epiphany at the interconnectedness of all things. For me James Joyce’s FW and the music of Sun Ra and his Arkestra are similar shaped vehicles of extraterrestrial communication, but whereas the music of Sun Ra is explicit and enters through the eye and ear world, Joyce reverses the process somewhat, ringing and jangling songs and tunes, spells and proverbs from dozens of languages, all sensed in the head-space, but with a strange sense of timelessness and transcendence of space, when ‘non-simultaneously apprehended’ with the human eye; jumping about a jungle of earthly hyperintelligence and hilaritas, condensed into nodal clusters of meaning and hyper-connectivity, ringing many bells and scattering connections allwayswords. 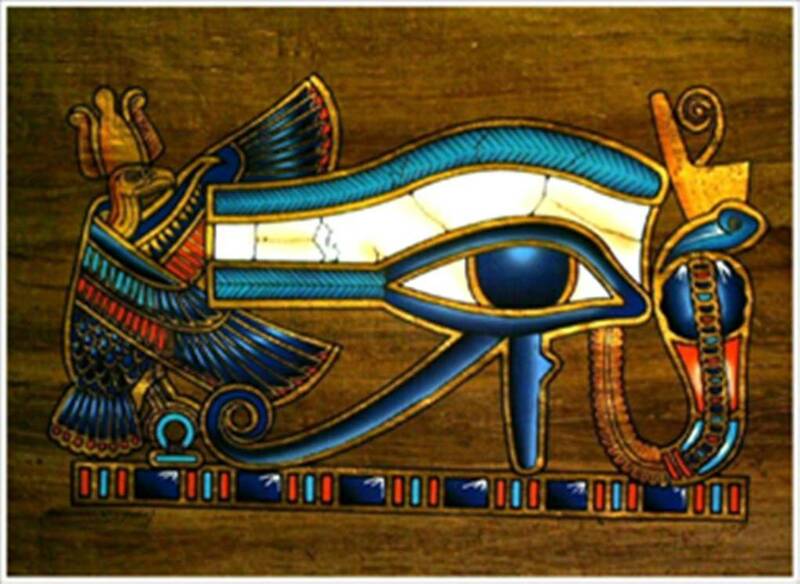 “I might mention that Arthur Young, founder of the Institute for the study of consciousness, was the one who originally turned Robert Temple on to the idea of trying to find out how the Dogon tribe knew so much about the dark companion of Sirius. And Arthur Young, in turn, had first heard of this tribal lore from Harry Smith, a film maker who claims to be the son of Aleister Crowley…) –Saul Paul Sirag, CT, pg. 242. I am not sure if RAW listened to Sun Ra, but it stand a good chance due to telling me he liked Charlie Parker, Mahler, Thelonious Monk, John Coltrane, Beethoven and Miles Davis, in particular. And Robert first got turned onto the debil’ weed at a Modern Jazz Quintet show, so RAW was certainly Hip to Bebop and jazz, and with his perchance for ‘Classical’ music too one would imagine Big Band Jazz and the sounds of Sun Ra might tickle his fancy. Who knows, but I want to show here how the music of Sun Ra links directly into RAWs chapter in Cosmic Trigger detailing Dr. Timothy Leary’s experience with extraterrestrial intelligence and the comet Kahoutek earyh flyby in 1973, an event I chose to magnify here as it had a significant ‘woo woo’ effect on me when I first read Cosmic Trigger and encountered the Sirius Mystery. Nonetheless I like to think that RAW might enjoy a SUN RAW comparative essay with a healthy dose of Finnegans Wake stirred in. “The Dogon believe that everyone is born with eight seeds stored within the collarbones, four coming from the mother’s line and four from the father’s—a prototype, in symbolic terms of modern genetic theory. –Sir Francis Huxley, The Way Of The Sacred, Pg. 166. Although the ‘outer space’ theme may often be criticised as leaving planet earth and humanity behind in an escapist trip to the stars, yet on the contrary I will show how the outer space theme in the works of Sun Ra, RAW and James Joyce, or the ‘cosmological’ complexity and ‘chaos’ often inherent in their works transmits a message for earth people, right here right now, that this ‘it’ or ‘hyperintelligence’ exists everywhere and nowhere, invisible and staring us straight in the face, neither here nor there but with us. No we are not alone in the Universe, on any level, we are hyperconnected throughout time and space, on many levels, if we wish to tune into them. Tune in, remember, and find the other worlds? “by the tremours of Thundery and Ulerin’s dogstar, you alone, windblasted tree of the knowledge of beautiful andevil, ay, clothed upon with the metuor and shimmering like the horescens, astroglodynamonologos, –FW, 194. Looking back at my experience this Solstice I deduce that the Sun, and the sun behind the sun has gently hinted that ‘Sirius IS impotant” and that the African wisdom found in the Dogon tribe can be teased out from Finnegans Wake and the study of Joyce’s special cosmological ‘tribal’ language. I have found that during my research into these three iconoclast multicultural icons the pull to create a new interpretation of current events and the state of the planet earth in 2010. Using my sense for connectivity and mixing media I present the SUN RA SIRIUS SEED TRANSMISSION sampler, enjoy, love, steve. “An whele time he was rancing there smutsy floskons nodunder ycholerd for their poopishers, ahull onem Fyre maynoother endnow! Shatten up ship ! Bouououmce ! Nomo clandoilskins cheakinlevers ! –James Joyce, FW, 370. 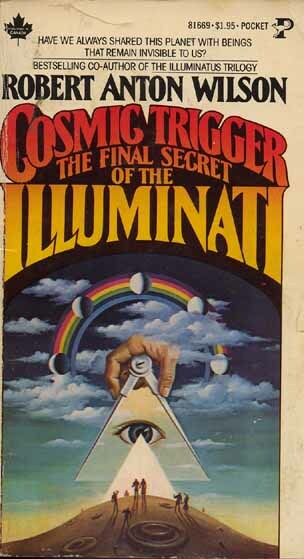 This entry was posted in Arthur Young, cosmic trigger, Dogon, finnegans wake, fly agaric 23, Francis Huxley, Nommo, Robert Anton Wilson, Sirius, Sun Ra. Bookmark the permalink. Spaceship earth is doing well for us all! prophets said that we would trod. Buddha – tell a sutra like a spell – teach us well to answer silence with the calling of bells. Allah – bring us to a good alarm – subjugate our wills to answer you like a mighty arm. He's the king of the fire). for you to follow through. Lama – show the Power's bright array – bless the climb, and settle peace upon the universe's dark display. And Jesus – remember every promise made – Present yourself in the middle of the prayers that we say. Vishnu – preserve us all along the way – Keep us clear of the final thunderbolt of the judgement day. Hear me – Hear what I – what I ask for today – Fathers. a witness as lonely as forgotten tears keeps up a vigil watching all – even light – go out one witness – one child digging the slaving wheel of meat spitting out – taking up – everything – by the roots pulling out – the lot of what has passed into the past, like a dream. beginning – is coming in the sweep at the end of all. Even gods have passed over, away. Then, one day the shadow of a priest on the horizon appeared. He wasn't taken up into the swirling. He walked with purpose, all the while digging his heels into the bedrock like a man. But as he came into view the witness saw his eyes were crying. giving it up – but in the vast indifference I invent a deeper meaning. I'm the one who will say 'use the will every day or go mad trying – go to war against the impotent side of living. Use every power you're given to stand and act like a man. And pray — every day to every god – strike the bowl of heaven and the ringing will become a law. Build – bridges where you need to go – bring the fire of enlightenment here to life below. Speak – mercy to the things you meet – listen up to hear the whispering of the blood you bleed.